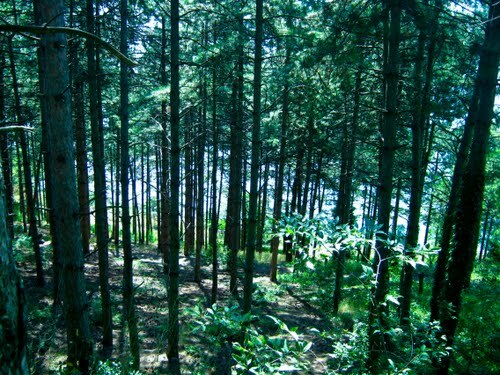 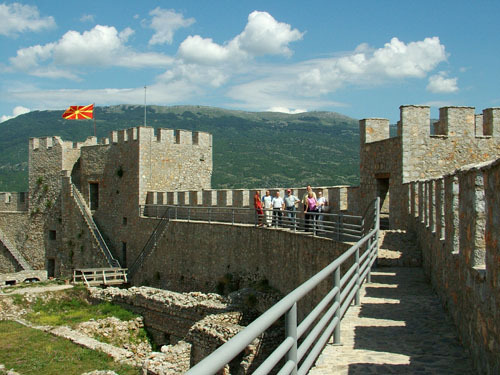 Area is opened for tourists, not accessible by buses. 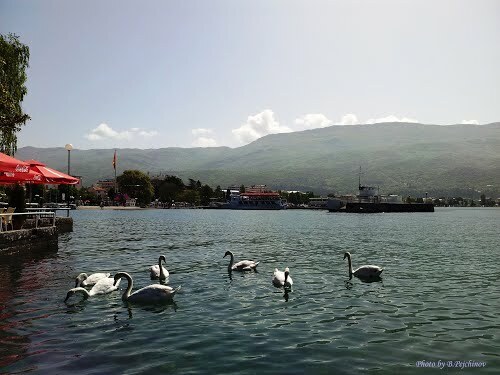 Group tourist should walk 500m. 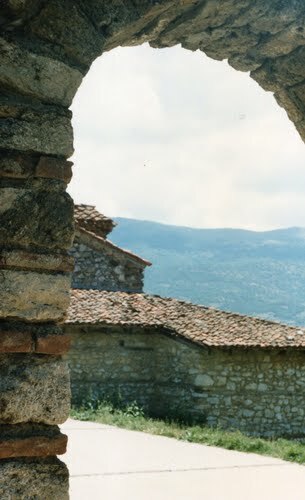 from Upper Gate. 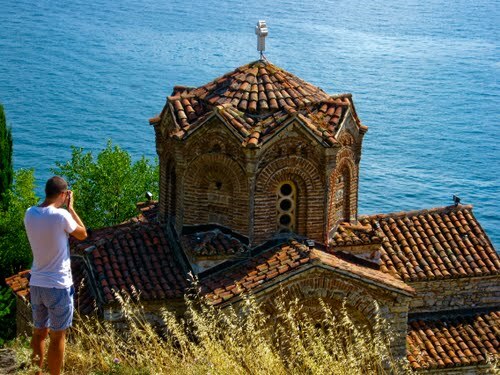 The ruins of this Episcopal Church stand on the spot called Plaosnik, one of the most serene places in the old part of Ohrid. 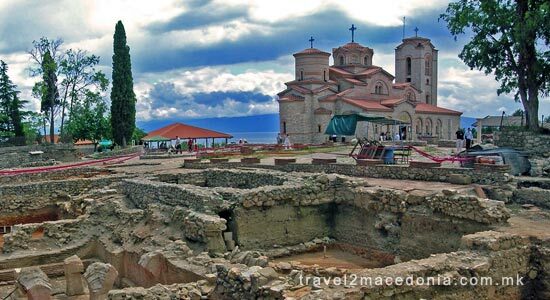 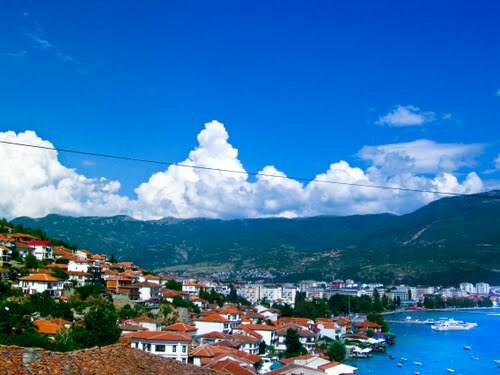 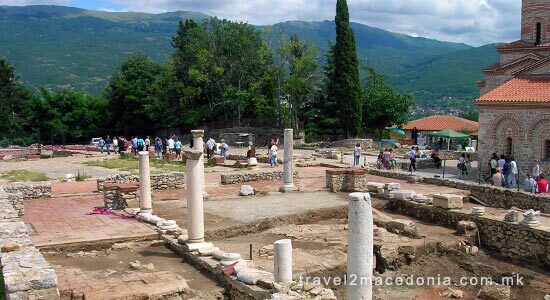 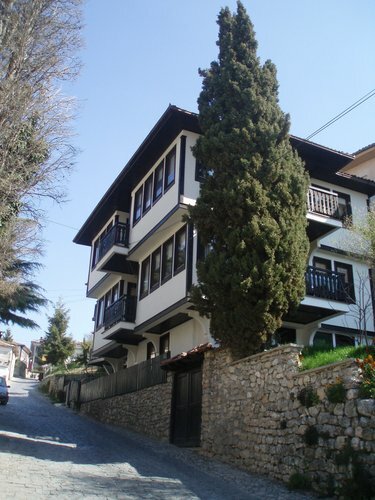 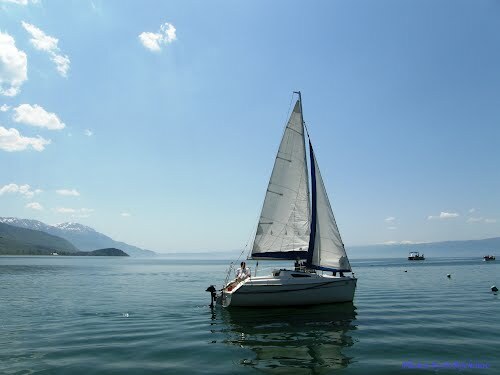 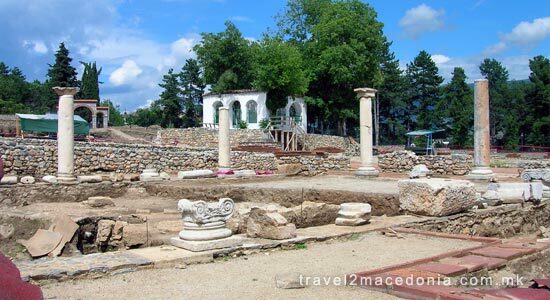 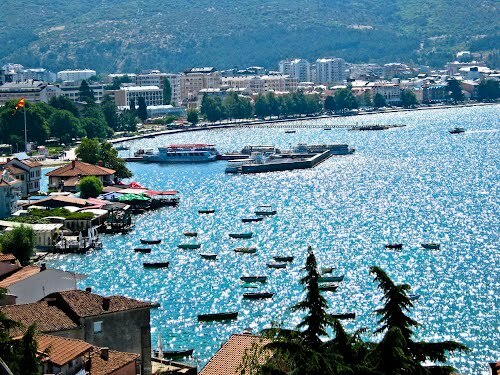 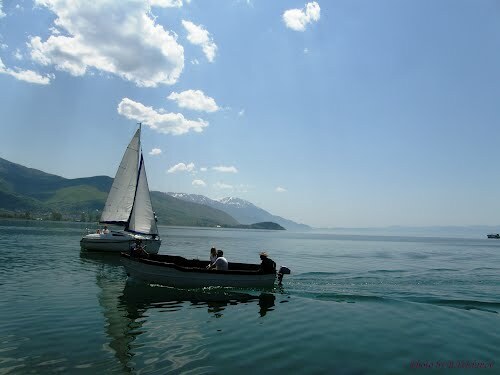 It was probaly built in the 5th of 6th century, when the town Lychnidos (ancient name of Ohrid) was an important Early Christian Episcopal seat. 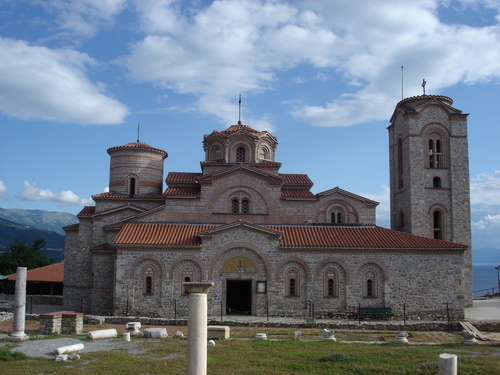 The basilica has been erected on the foundations of an older clasical temple and has a trefoil shape. 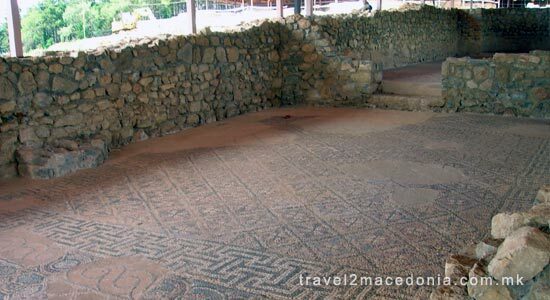 Unknown artist decorated it with magnificent mosaics with figurative, floral and zoomorphic motifs. 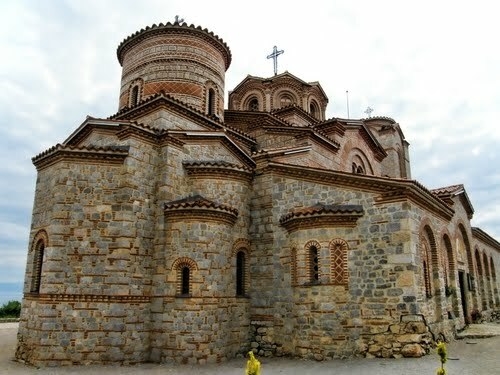 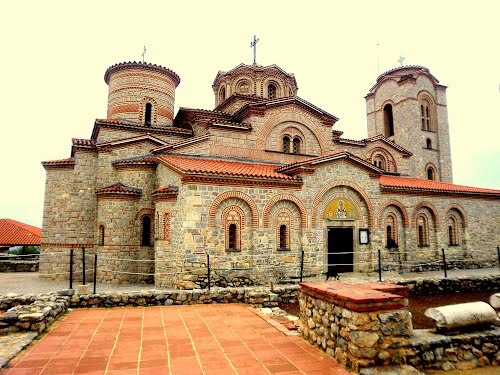 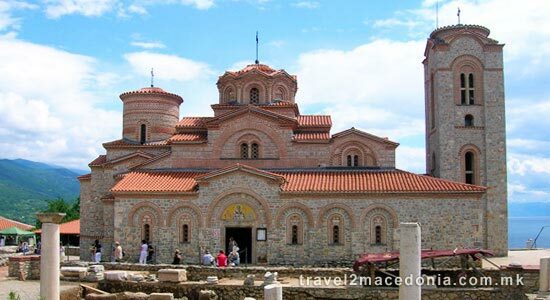 The Plaosnik monastery of Ohrid (Saint Pantelejmon) is believed to have been built when Saint Clement arrived in Ohrid, in 893, on the remains of another Early Christian basilica decorated with floor mosaics. 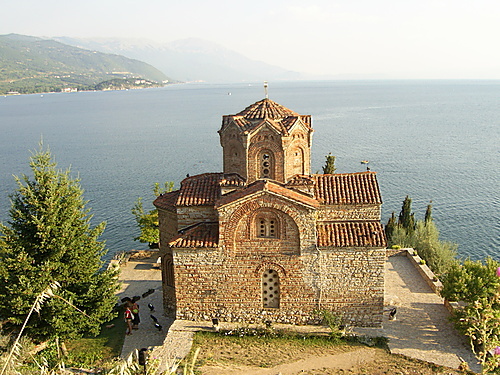 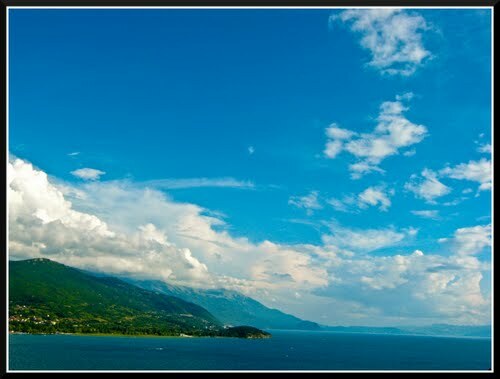 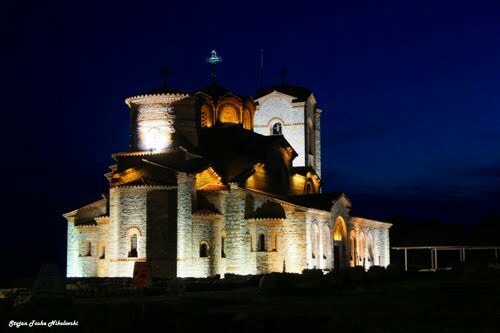 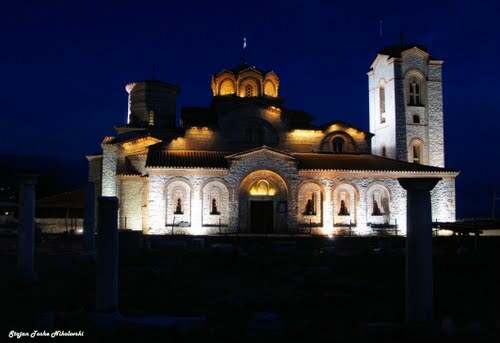 Historical sources claim that, Saint Clement of Ohrid was not satisfied with the size of the church and therefore, built a new one over it and assigned Saint Panteleimon as its patron saint. 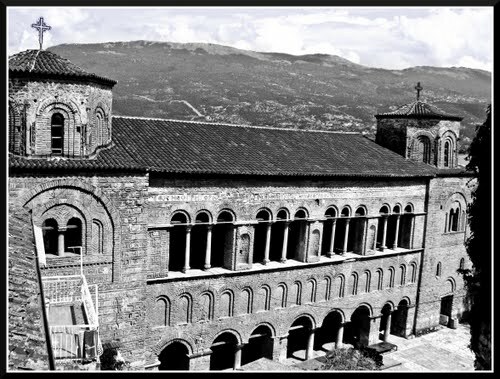 Saint Clement of Ohrid used his newly created monastery as a liturgical building and a place for teaching his disciples his variation of the Glagolitic alphabet, known as the Cyrillic alphabet. 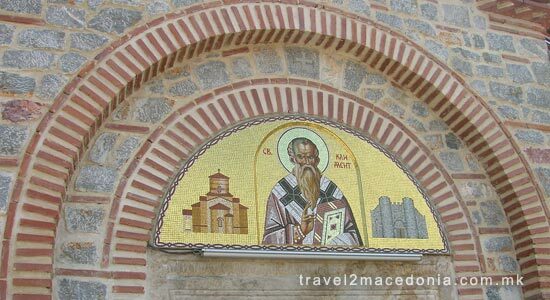 Saint Clement of Ohrid personally built a crypt inside the Plaosnik monastery in which he was buried after his death in 916, and his tomb still exists today (after was secretly kept in other monastery during the Ottoman period). 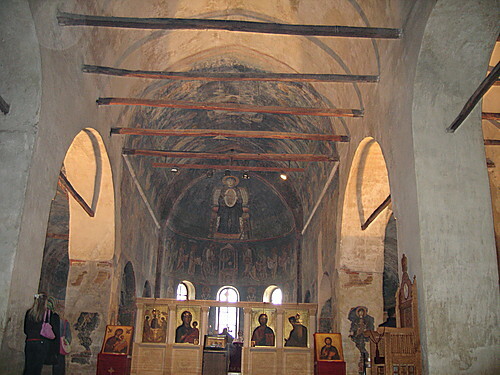 In the 15th Century, Ottoman Turks converted the Saint Clement’s Plaosnik monastery into a mosque but, during the beginning of the 16th century allowed ruined churches and monasteries to be restored, therefore, so was Saint Clement's - Plaosnik monastery. 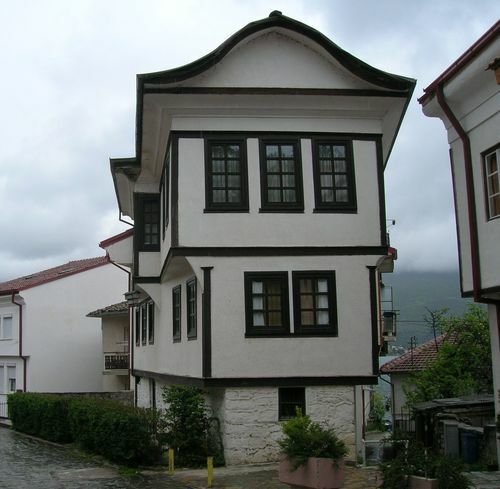 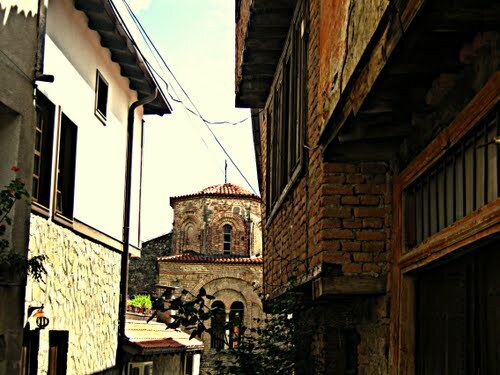 The monastery was again ruined during the end of the 16th century or the beginning of the 17th century and yet another mosque, called Imaret Mosque, which existed until the restoration of the important Ohrid monastery in 1999. 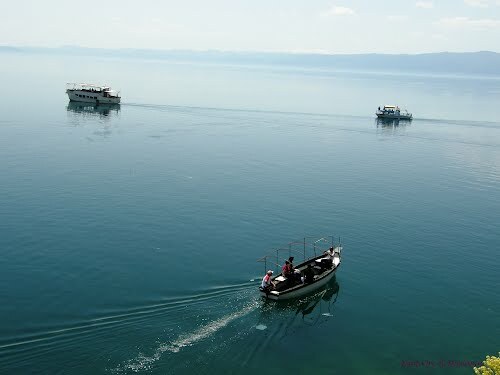 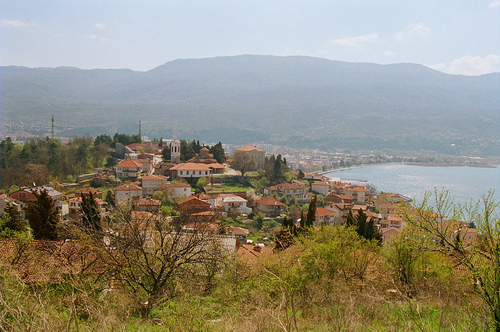 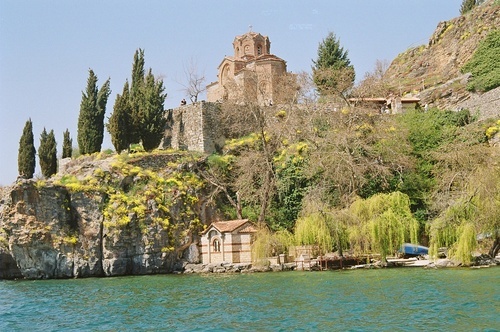 Many archaeologists believe that Saint Clement of Ohrid himself designed and constructed the monastery on Plaosnik. 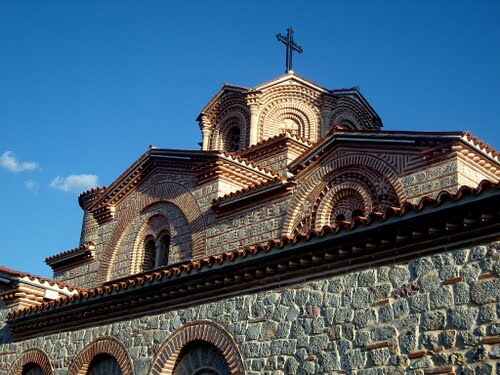 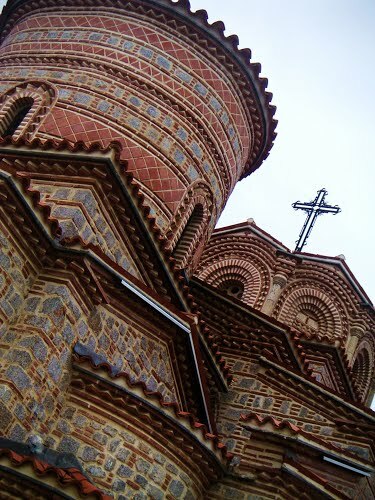 Saint Clement, along with Saint Naum would use the monastery as a basis for teaching the Glagolitic and Cyrillic alphabets to Christianized Macedonian Slavs thus making it a university. 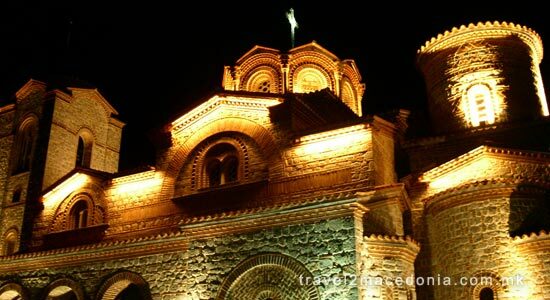 Yes, the first Slavic University in the world, that hold up 3,500 students at the time. 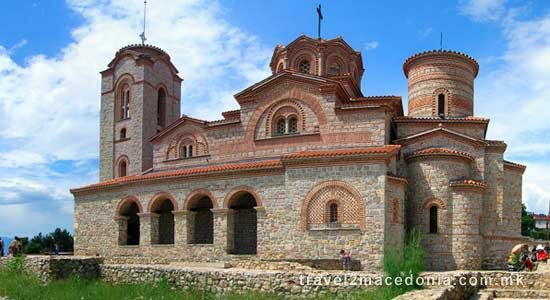 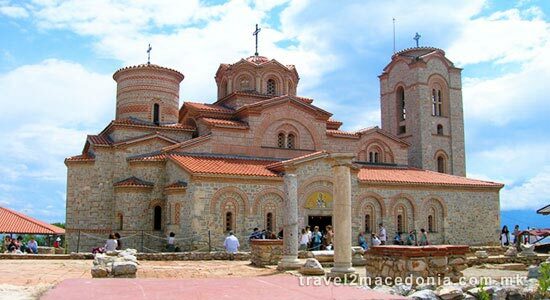 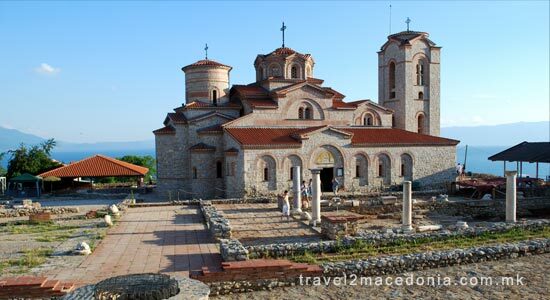 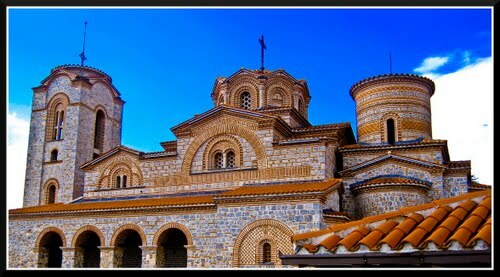 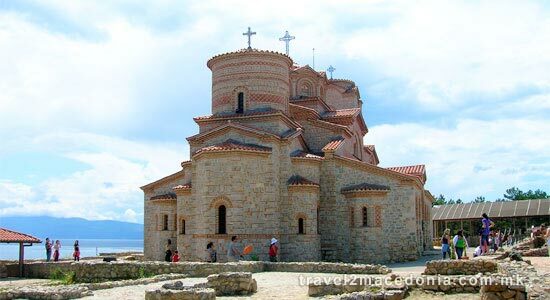 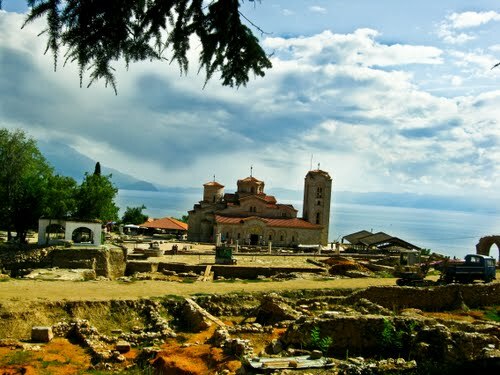 The Plaosnik monastery stands on the famouse Ohrid hill which is now known as Plaosnik overlooking Lake Ohrid. 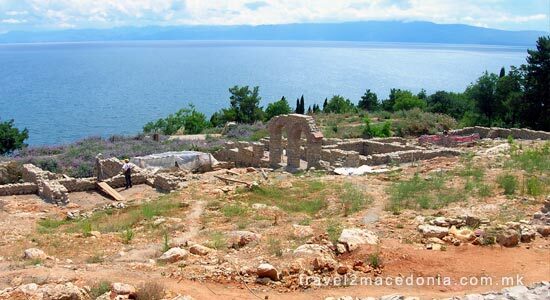 Saint Clement of Ohrid built his monastery on a restored church and a Roman basilica of five parts (the remains of the basilicas can still be seen outside the monastery). 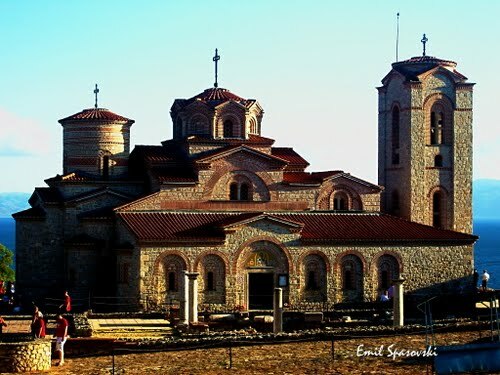 Judging by the architectural style and design of the monastery, researchers say that Saint Clement intended for his building to be a literary school for disciples, thus it is believed to be the first and oldest discontinued university in Europe as well in the Slavic world.